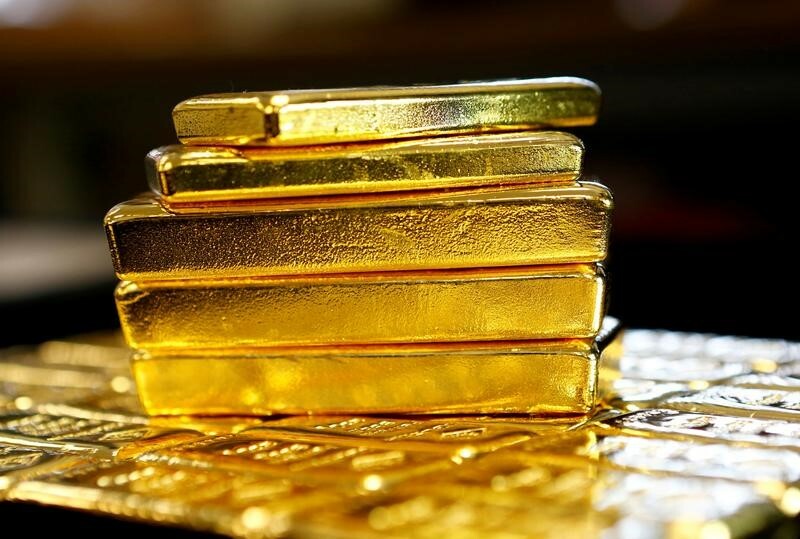 Investing.com – Gold prices fell to the day’s lows on Tuesday as the dollar rallied to fresh 2018 highs, weighing on demand for the yellow metal. Gold futures for June delivery on the Comex division of the New York Mercantile Exchange fell $5.50 or 0.42% to $1,308.60 a troy ounce by 10:45 AM ET (14:45 GMT). Prices fell to their lowest levels in two months last week and posted a third consecutive weekly decline. The U.S. dollar index, which measures the greenback’s strength against a basket of six major currencies, was up 0.53% to 93.10, its highest level of the year. A stronger dollar tends to hit demand for gold and other dollar-denominated commodities, making them more expensive for overseas buyers. Demand for the dollar was underpinned as investors remained cautious ahead of an announcement by U.S. President Donald Trump later in the day about the future of an international nuclear agreement with Iran, which he has repeatedly threatened to withdraw from. The U.S. currency received an additional boost after Federal Reserve Chairman Jerome Powell warned in a speech in Zurich earlier Tuesday that markets should not be surprised by further policy tightening. Rising U.S. Treasury yields and broadly solid economic data have boosted the dollar in recent weeks, underlining expectations for a steady pace of interest rate increases by the Fed this year. The central bank has projected two more increases for the year, but some investors expect three more. Expectations for a faster pace of rate hikes tend to be bearish for gold, which struggles to compete with yield bearing assets when interest rates rise. In other precious metal trade, silver futures were down 0.67% to $16.38, while platinum futures slid 0.39% to $910.10. Among base metals, copper futures shed 1.2% to trade at $3.042 a pound.